A detour upstream on the Ohio from the Mississippi brought me to Louisville, Kentucky. 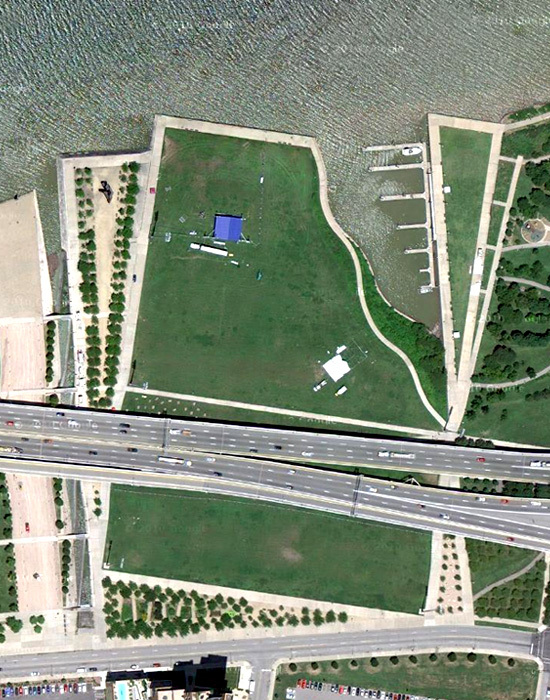 Google mapped above is the Great Lawn of the city's Waterfront Park designed by Hargreaves Associates. The grid meets topography meets infrastructure (soon meets OMA). From the ground the freeway is hideous and loud, resulting in an unmarketable central business district riverfront. The park is definitely an improvement but Louisville CAN and MUST do better.